Oceania Marine has recently re-focused its business to emphasise its full service refit capability. The Oceania Marine Refit Services (OMRS) brand with new brochures, website and supporting marketing collateral were made ready just prior to the Cannes and Monaco yacht shows and are now being offered to the market. OMRS is structured into divisions such as project management, painting, marine interiors, engineering, electrical etc. With multiple projects on three sites, happening at any given time, project management and coordination are key requirements. Consequently a considerable part of the companies resources are allocated to project management to ensure that the clients experience from first contact through to project completion is a good one. Brad Hall has been appointed as senior Project Manager to oversee larger projects being undertaken at Oceania Marine’s North Shipyard, Port Whangarei, New Zealand. Brad has spent the last two years setting up the Port Whangarei Marine Centre for Oceania Marine at South Shipyard, also in Port Whangarei, and now that is up and running with its new 100T travel lift he has taken up this position. The 37M Motor Yacht Dardanella is hauled out at North Shipyard for a major refit being undertaken by OMRS with Brad as Project Manager. It is a great example of the full service that OMRS can offer. The work is well under way and will be completed undercover in Refit Shed A with its associated workshops, storage and crew facilities. 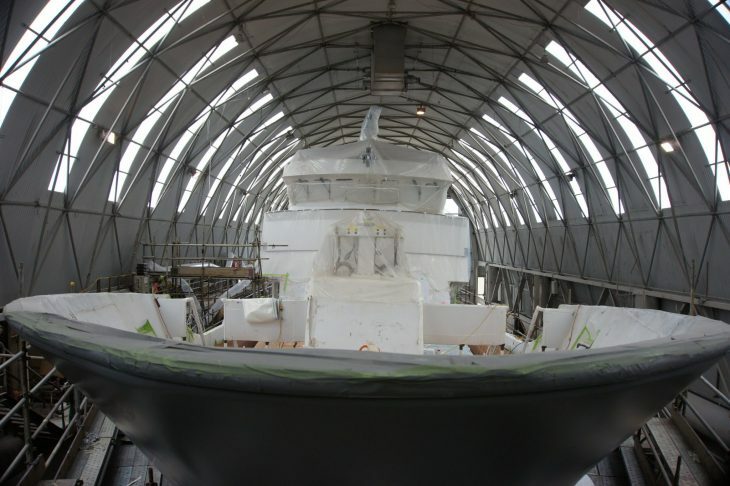 It is one of a number projects currently underway at Oceania Marine shipyards. The project is scheduled for three months and has an extensive worklist. 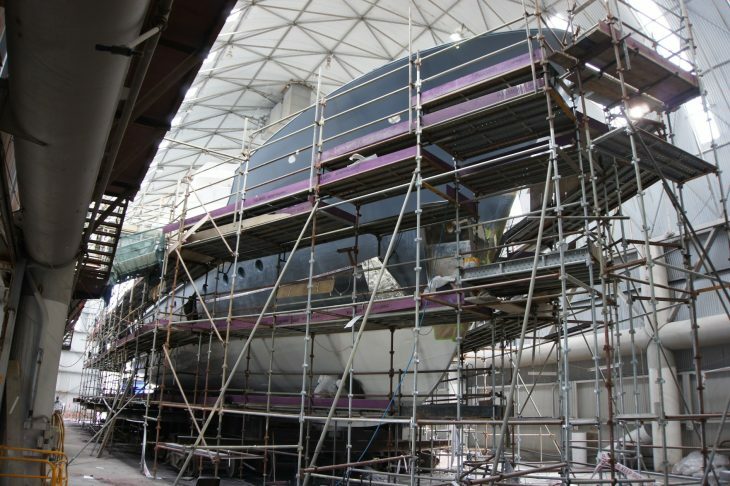 Corrosion repairs and repainting of the underwater hull, topsides and part of the superstructure is the biggest single item. The existing timber Iroko decks will be replaced with a new teak deck. Engineering surveys and out of the water inspections will be carried out but extensive pipe replacement and two new shafts are already planned. The above and a raft of more minor works, including some interior work to be carried out by Oceania Interiors, makes this refit a substantial project.